After putting together my list of the top fitness related conventions in the UK for 2017, I had a couple of e-mails from people asking if I could advise one some of the larger international conventions. So for all you jet setters out there here is a list of the international fitness conventions I would recommend in 2017! This is an awesome place to meet those involved in the fitness industry across China and Asia. The convention bring suppliers, practitioners and business operators together for a great three day event! This show has been going for some 30 years and is the leading show for the business operators in the fitness industry. It showcases some of the leading fitness products and services to those who making buying decisions for some of the worlds largest fitness chains. This is the european fitness convention, it has been going a number of years and really covers all things health and fitness! Be prepared for a fitness convention on a massive scale! This is one of the largest and most important international conventions on the world calendar. IDEA world convention has been going a long time and is one of the original conventions for fit pros! This convention truly has to be seen t be believed… It is just huge! The NASM is a long established association that runs a number of events each year. The highlight of its calendar is their convention, this brings together some of the leading lights from the NASM and offers some awesome ways to earn CEC’s. This is one of the largest and well established fitness conventions in Asia. 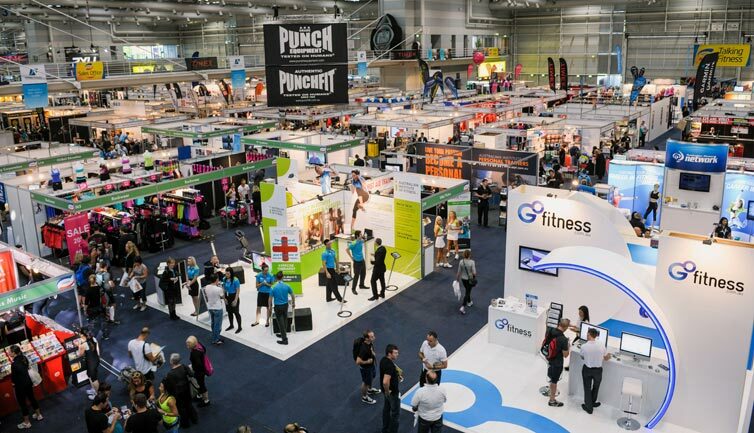 The convention brings together some of the latest fitness systems and products with fit pros from across Asia. This convention is a lively event that has a large attendance. If I have missed any off that you think would be a good addition to this list please do add them in the comments below.